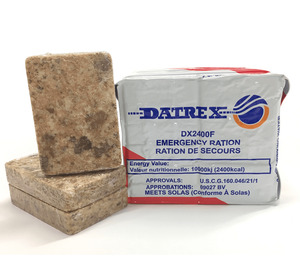 DATREX Emergency Food comes with a 5 Year Shelf Life. 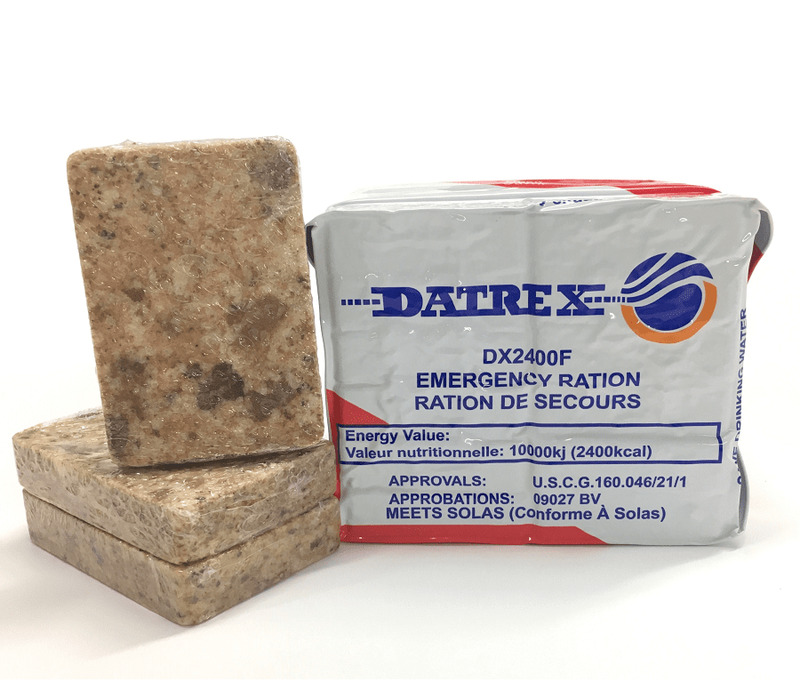 After testing and reviewing food bars from several manufacturers we came to the conclusion that DATREX food rations are the best on the market and that is why we exclusively use DATREX 2400 calorie food bars in our emergency and disaster survival kits. 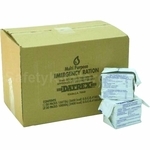 DATREX 1000 calorie food bars can also be used in custom made emergency kits upon request. Unlike food bars from other companies which only come with 6 unwrapped portions, the DATREX 1000 and 2400 Calorie food bar contains several separately wrapped rations with 200 or 250 calories each. Even after opening the outer wrapper, each ration remains sanitary and clean until the time of consumption. These are great tasting rations, not the old style military 'stuff' people commonly mistake them for! Get 9 food bars for families, groups or add on to your existing emergency supplies kit.